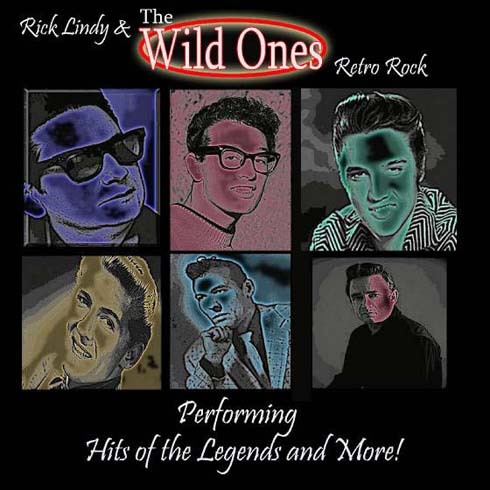 - "Rick Lindy & The Wild Ones"
The Wild Ones band was formed in 2000 by veteran Vocalist Rick Lindy. After a 5 year stretch as lead singer for Big Guitars from Memphis, Rick decided that it was time to start his own original Rock-a-Billy band. 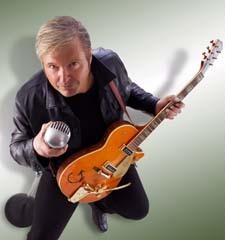 Mike Hosman also of Big Guitars was the original drummer. Wild Man Todd Menke on lead guitar, and Malcolm Didier on Bass. Todd had to leave the group for personal reasons in 2001, and Ray Kainz took over as lead guitarist. The band recorded their first CD entitled, "Wild Side of Town" in 2001. The Wild Ones were asked to tour Europe that Spring and landed a record deal with Flipside/Amigo Records in Oslo, Norway. The recording received favorable reviews all over Europe which lead to another schedule tour in 2002. The Wild Ones worked hard and achieved another album entitled, "American Dream". In Spring of 2002 the Wild Ones did another tour of Europe thru Red Planet agency. Malcolm was the real winner on this tour. He not only came home with memories of many-a-beers, but he also met his lovely wife Susan while we performed in Bergen, Norway. The Wild Ones have also performed around the USA, mainly in Chicago at such places as Navy Pier, Concerts at The Sears Tower, The John Hancock Building, Green Dolphin Street and The United Center . 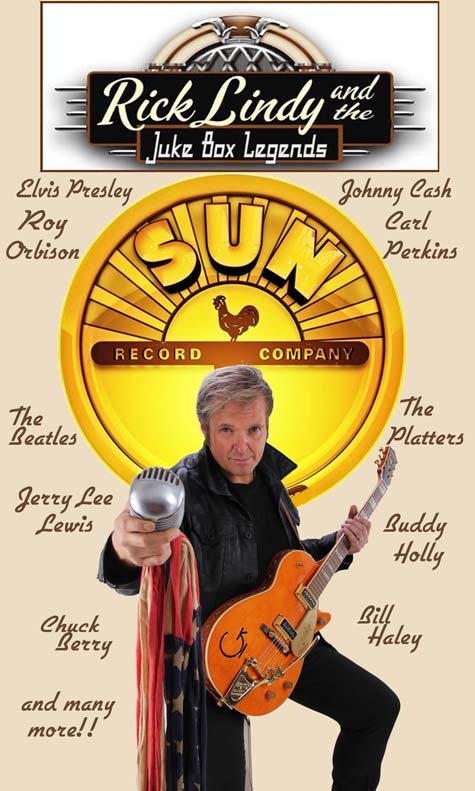 The band re-formed in 2006 with Todd Menke back on lead guitar and welcomed drummer Butch Nelson (formerly of Rick Lindy and The Cyclones & Big Guitars from Memphis) to the line up. Todd had to leave for personal reasons in 2008, and the band now has the pleasure of having Dave Eliot formerly of the surf trio The Mysterians. Eric Stoliker replaced Malcolm Didier on Upright and Electric Bass, and Joe Smith replaced Butch Nelson in Spring of 2008. Members of the current line up have played shows worldwide in Austria, Denmark, Sweden, Germany, Finland, The Faeroe Islands, England,Canada and Mexico. The great thing about this line up is the tremendous chemistry all the members have. Let the Wild Ones take you to THE WILD SIDE of TOWN!! !